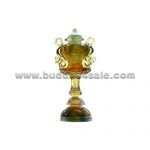 • Treasure Vase symbol is one of the Astamangala Buddhism symbols. 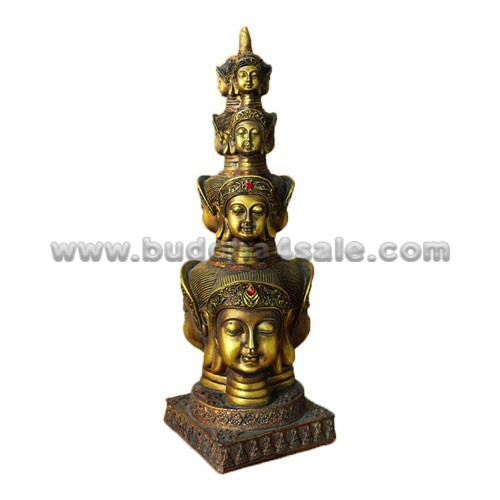 The Astamangala are the eight auspicious signs of Buddhahood which include the Lotus Blossom, Endless Knot, Wheel of Dharma, Victory Banner, Parasol, Twin Fish, Conch Shell, and Water Vase. 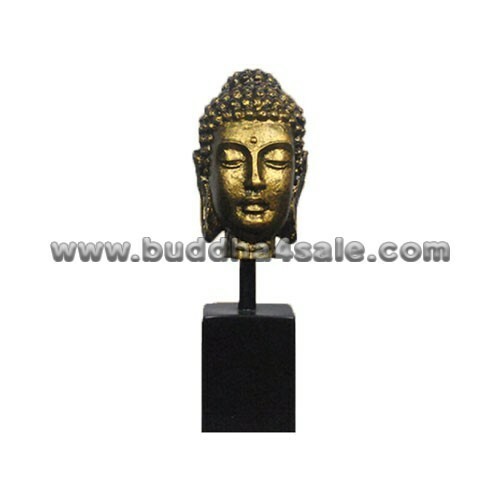 They often adorn finely carved statues of Shakyamuni figurine and other Buddhas. The symbols are depicted in other kinds of FengShui art as well, such as the finely cast ornament shown above. 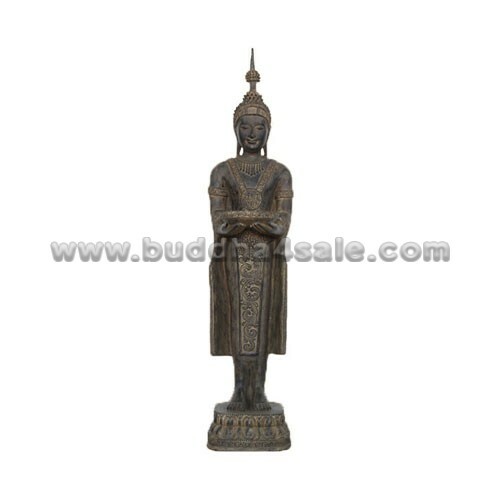 According to legend, celestial beings gave the items depicted by the Astamangala to Shakyamuni in recognition of his victory. • The “vase of inexhaustable treasures” represents health, longevity, wealth, prosperity, wisdom and the phenomenon of space. No matter how much treasure is removed, the vase remains perpetually full. It also symbolizes the inexhaustible wish-fulfilling treasure of enlightenment. The iconography representation of the treasure vase is often very similar to the kumbha, one of the few possessions permitted a bhikkhu or bhikkhuni in Theravada Buddhism. 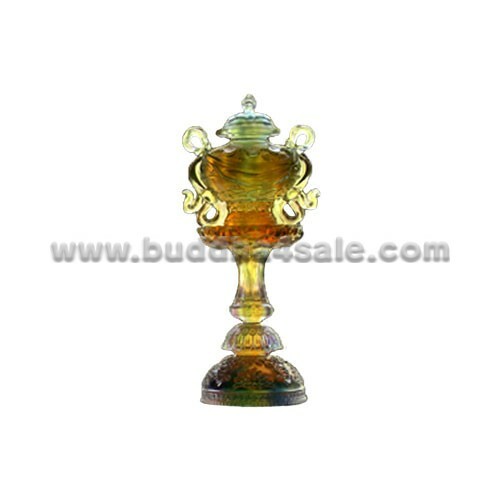 The wisdom urn or treasure vase is used in many empowerment (Vajrayana) and initiations. • There are many wonderful manufacturers out there that produce beautiful crystal products, but few can match the color, texture, and detail of Lalique crystal. Liu Li (crystal glass) is made at a extremely high temperature (over 1000 C), that’s why it has higher density and more beautiful color than regular glass. Lalique crystal is prized for its high quality and incredibly detailed designs. These pieces transcend the notion of ordinary glass and are elevated to a level of fine art. 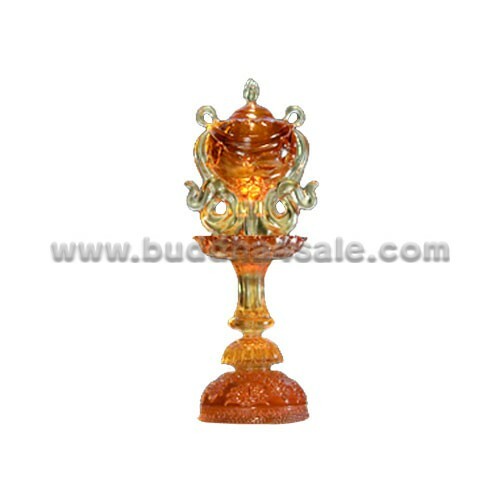 • This Liu Li Buddhist statue which cast in amber blue mix color will bring amazing good fortune either protects you or brings you a type of good fortune. 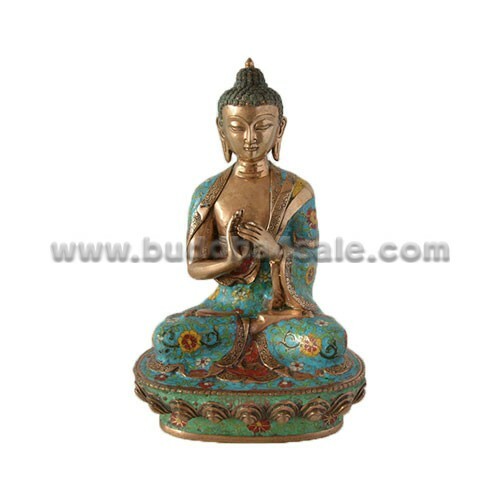 The Treasure Vase statue presents traditional Tibetan motif and will decorate any, even most dainty altar.